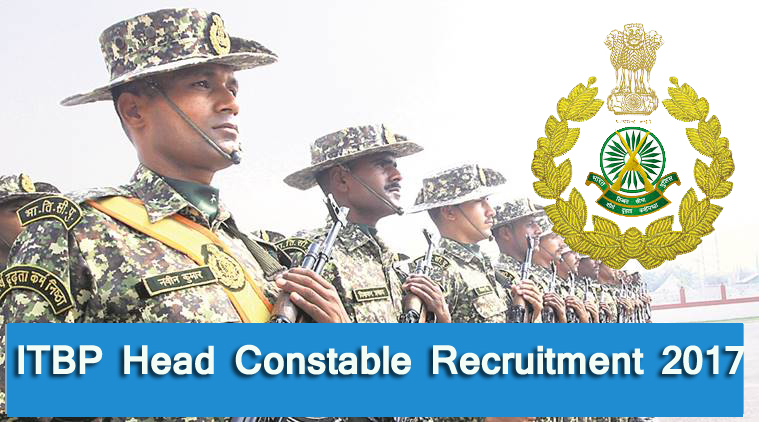 The application is invited from Indian candidates for filling up the post of Head Constable Group C non-Gazetted. The Posts are temporary but likely to continue. After successful selection, candidate will be posted anywhere in the country. The application form can be filled only online mode. Offline mode not allowed. Age limit: 18 to 25 years for direct entry candidates and up to 40 years for UR&OBC candidates of LDCE. Educational Qualification: Candidate must have passed 10+2 examination from any recognized board or university. Other Qualification: Required typing speed of 35 words per minute in English and 30 words per minute in Hindi. 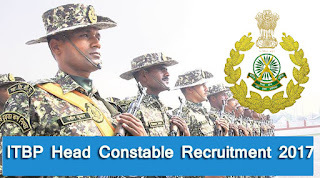 Eligible and interested candidates should only apply online through website www.recruitment.itbpolice.nic.in. Candidates are advised to fill the online application form after reading the instructions carefully. Details, as required under various segments, should be mentioned clearly, correctly and logically. No application will be accepted offline. Candidature of the candidate who submitted application offline will be rejected summarily. There is no requirement of submitting documents at the time of submitting online application form. Procedure for online submission of application is available on ITBP recruitment website www.recruitment.itbpolice.nic.in.